We went back out to shoot more guns on Sunday. 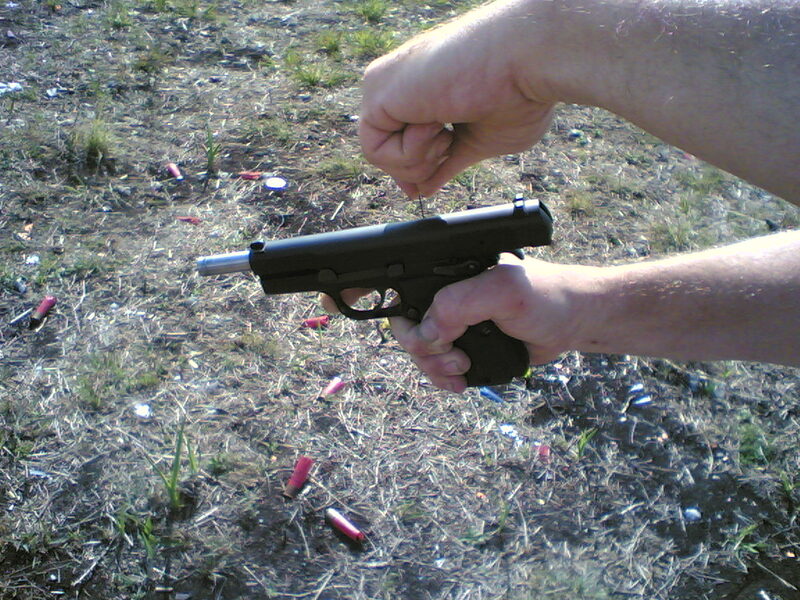 Rob had gotten a set of Crimson Trace laser grips for his new Browning Hi-Power, and he really wanted to try them out. So we loaded up and headed for Wal-Mart. 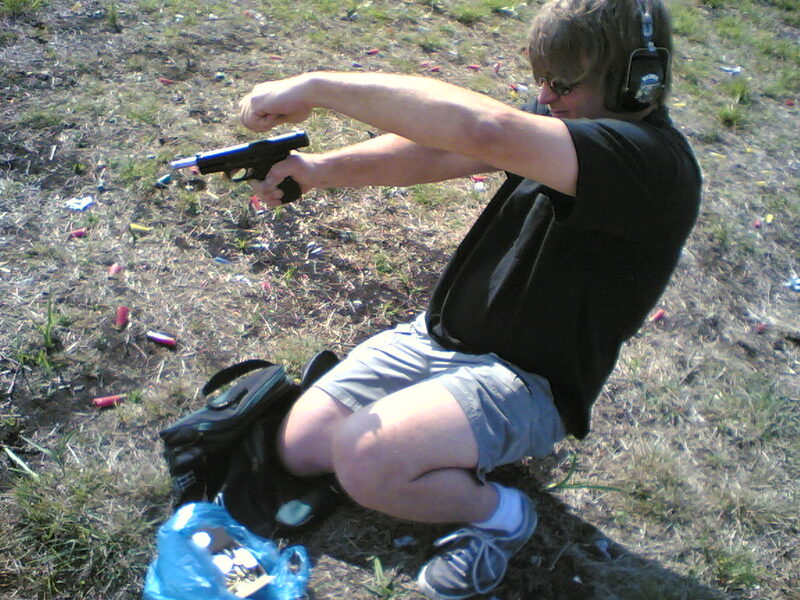 This time I just took the S&W Sigma 9mm and the Mossberg 12 ga pump, and Rob took the Browning. He wanted to focus. 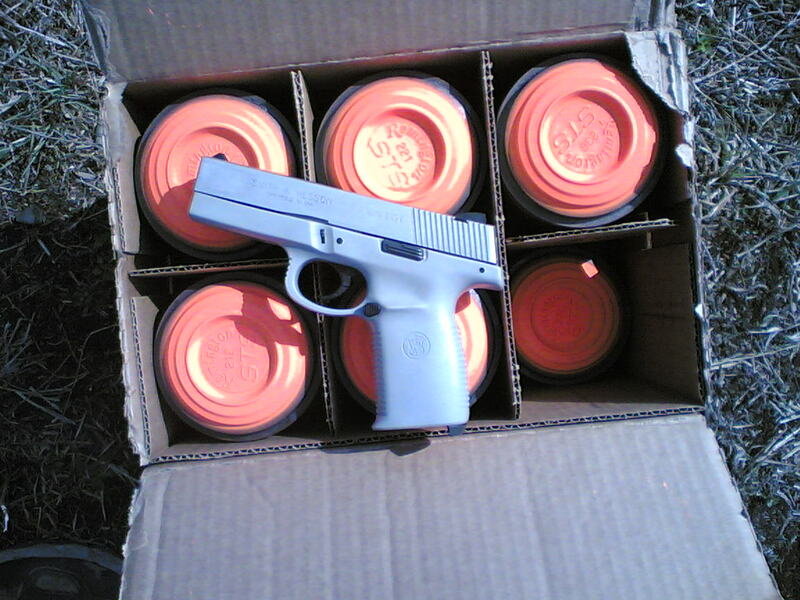 We got some 9mm ball at Wal-Mart, and I had brought along some of the steel 7 1/2 shot from the closet. 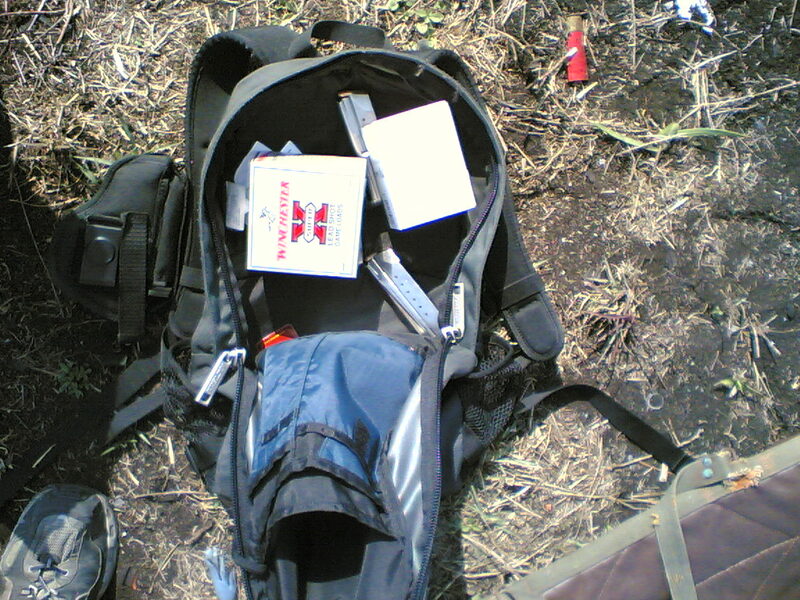 I still have boxes of the stuff left over from when we did a lot of duck hunting. It was a long drive west, but it was worth the trip. 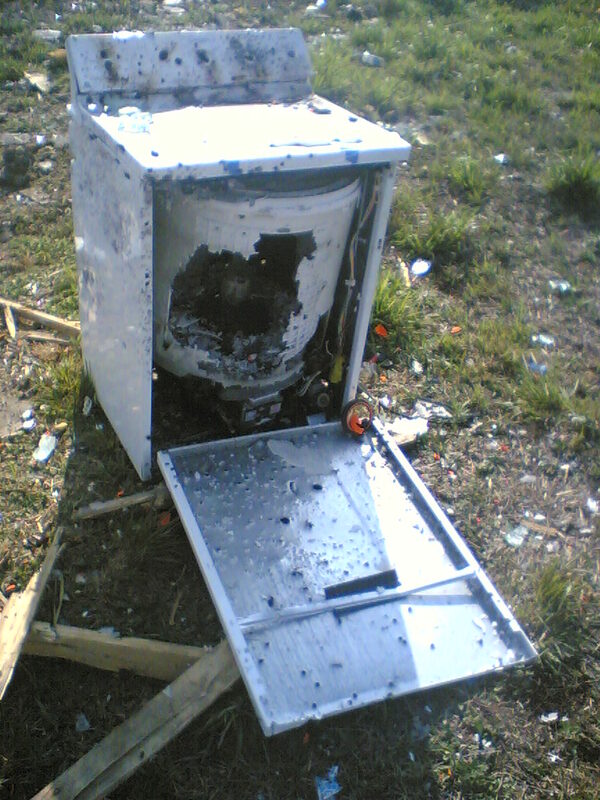 When we got there we found that someone had left a washing machine as a target. Cool. The riding lawn mower that was also out there was getting pretty shot up. Although leaving the washer might just have been illegal dumping, too. 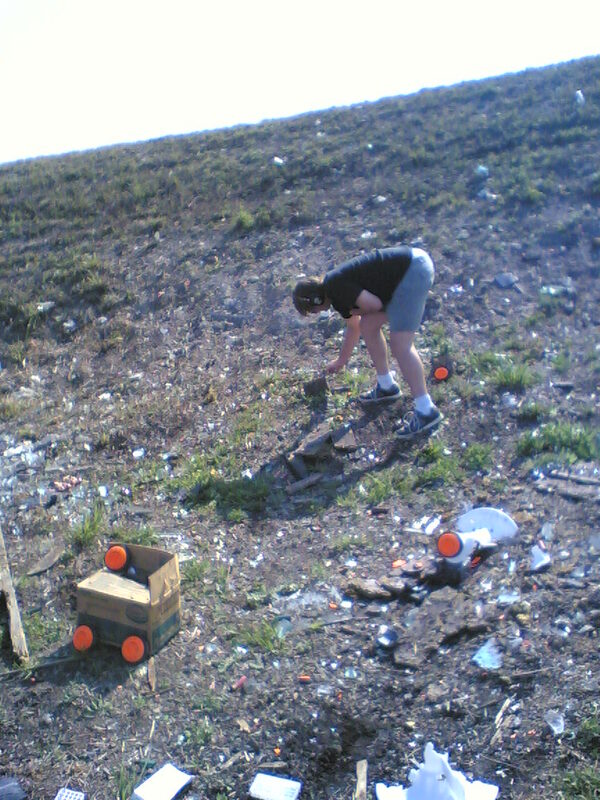 Like last time, we were using clay pigeons as targets. 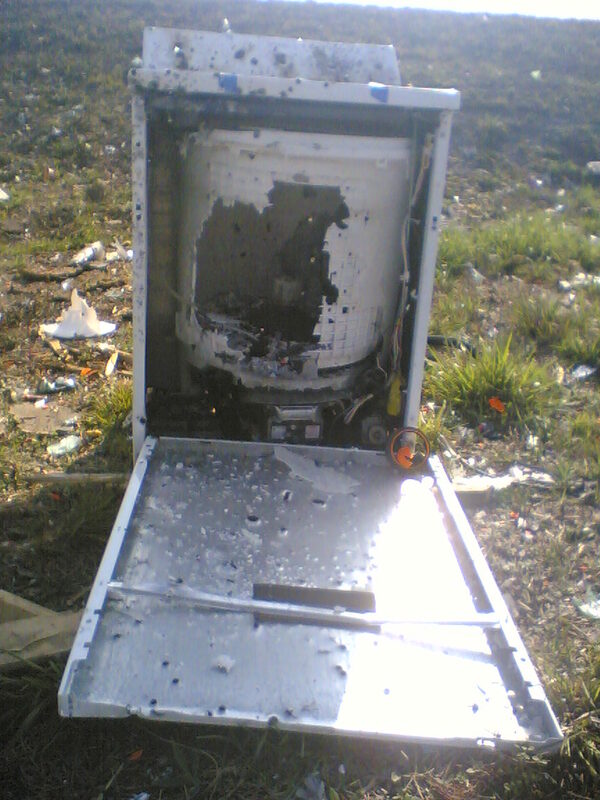 The washing machine was in almost pristine condition, with just a few holes punched in it. Even the dials were still on it. 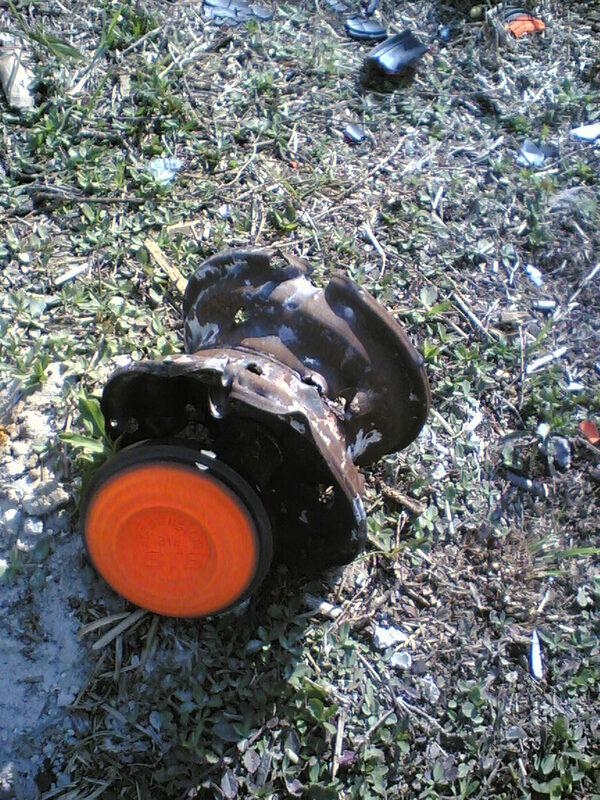 It did seem to have a few shotgun slug holes in it, though. 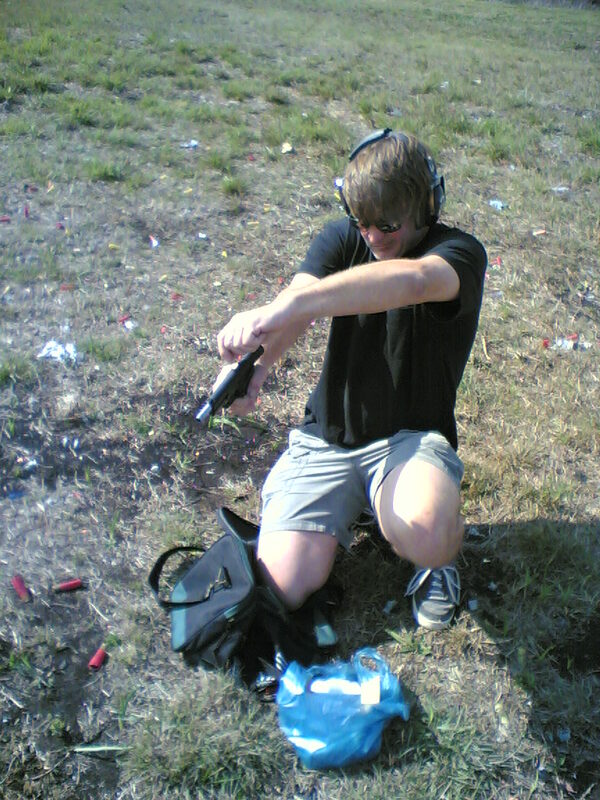 No, Rob hasn't changed over to the gangsta-style way of holding his pistol. He's adjusting the laser grips. They have both an up-down and a side-to-side adjustment, both of which require a tiny allen wrench. Fortunately the nice people at Crimson Trace ship two wrenchs with the grips, which makes it easy to adjust the grips. Rob's adjustment method was to put the laser dot on the washing machine and pull the trigger. Then he would ajust the sights based on the bullet strike. After a couple iterations of this he had the sights dead on. Then I got to try the sights. They worked pretty well. You could see the laser dot out to about 20-30 feet in the bright sun. 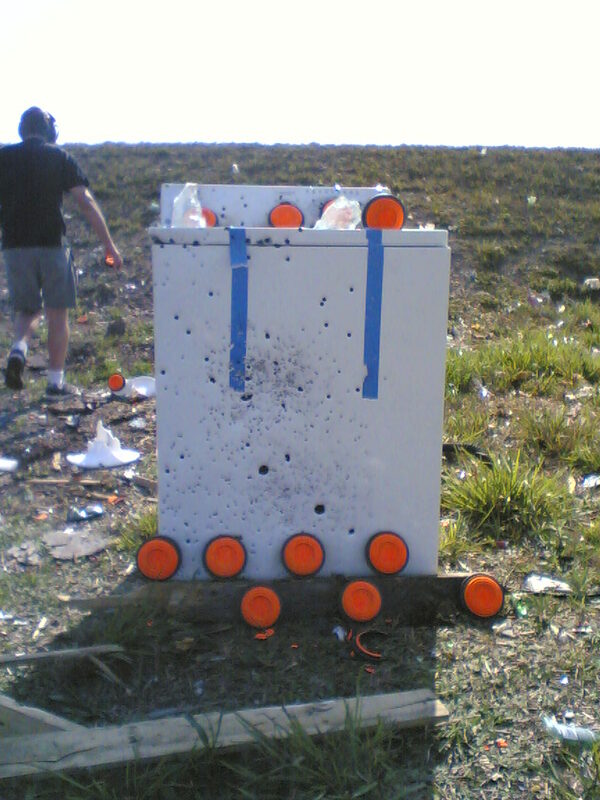 Once I got the hang of it I stopped using the iron sights, and just put the dot on the target and squeezed the trigger. Pretty effective, and I'm sure it's much more effective in low-light conditions. I'd like a set for my Sigma. The only problem is that the Sigma has a plastic frame like a Glock, and the grips are integral to it. So I would have to get one of the pointers that goes inside the recoil buffer spring. And because the Sigma is a relatively unpopular pistol, those sights go for around $450. So I'm not ready to take the plunge yet. 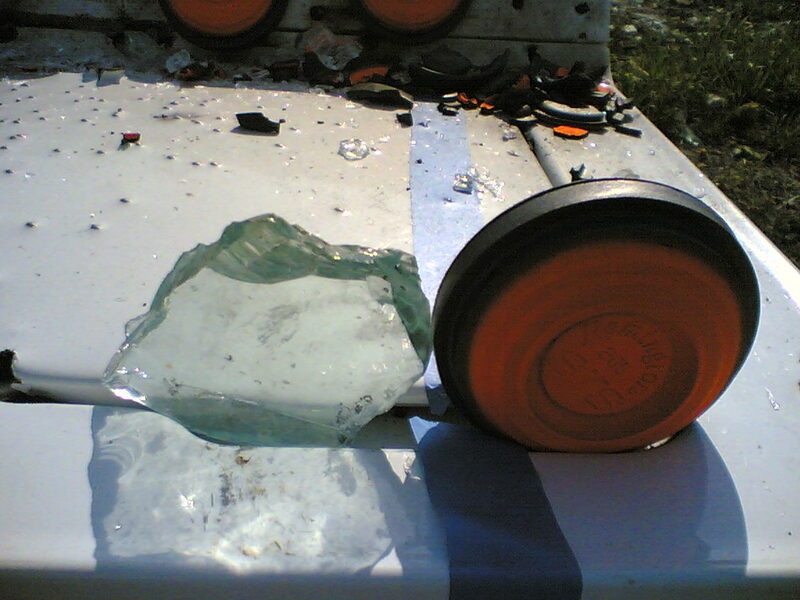 There was more of the safety glass from last time lying around, and we found that it makes a dandy target, as it shatters nicely when hit. 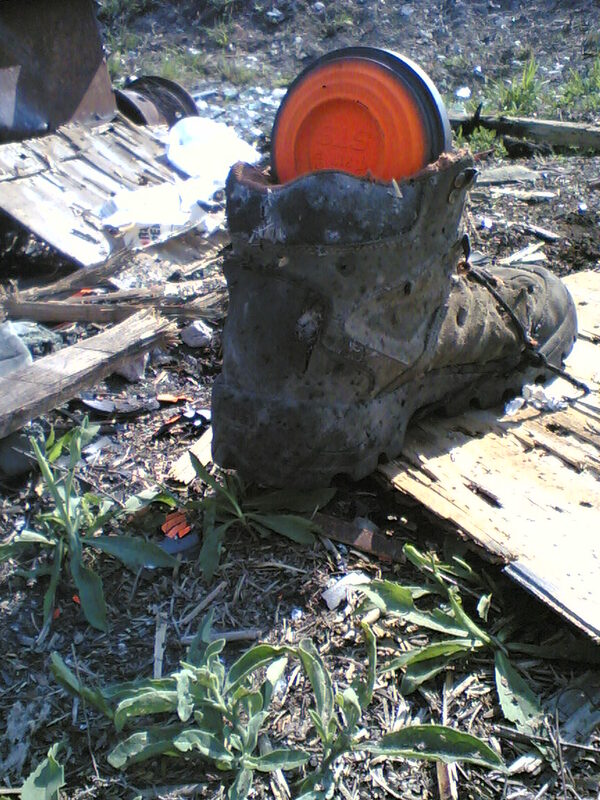 We had clay pigeons everywhere, even an old work boot that made a nice holder. 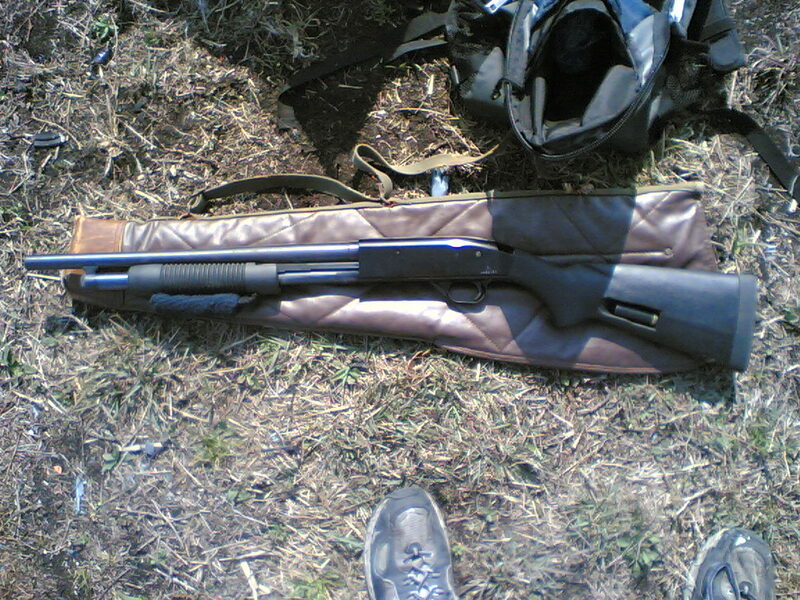 After I shot all the 9 mm I brought out the 12 gauge, which worked just like I remembered. 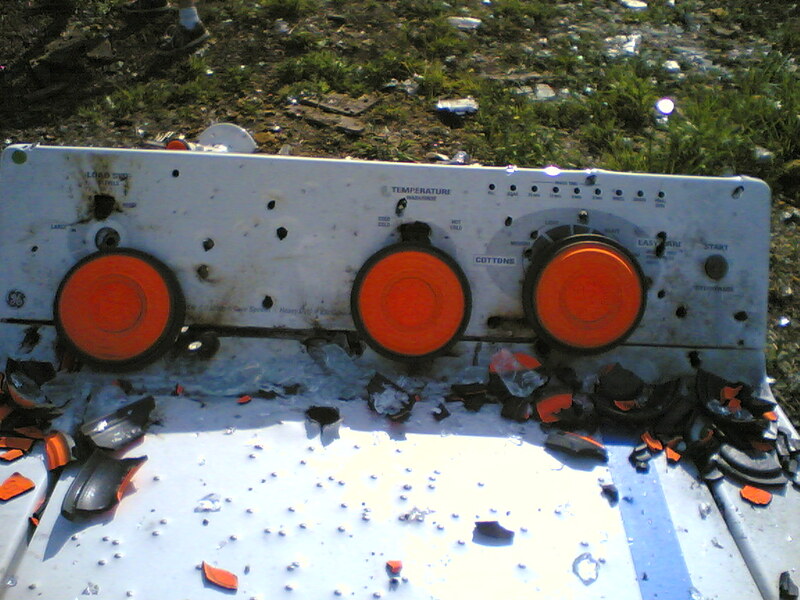 The steel 7 1/2 shot was effective against the pigeons, but not much else. It just left pits on the safety glass. The washing machine took a beating. At one point the front panel just fell off. So we shot up the tub inside. 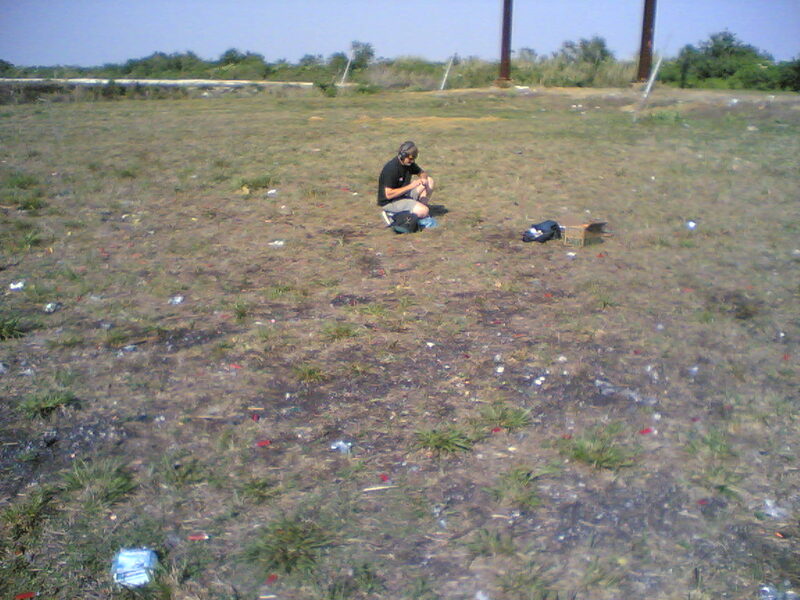 Finally we were out of ammo, and it was time to go home. I think we'll be back out there. On the way back we were discussing how to weld up some steel swinging targets.